If you haven’t heard of hygge yet, you will. The Danish approach to decorating is trending right now, and it actually extends into every aspect of your life. At its core, hygge is about being cozy and content, surrounded by friends, family, and happiness. 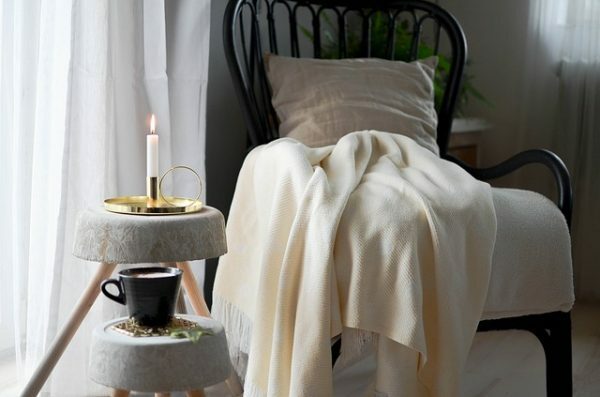 Here are a few ways you can hygge-ify your own home. Opt for a calming neutral color palette. While some current interior design trends may be calling for bright, bold colors, hygge steers you in a totally different direction. When you choose neutral tones like blues, grays, and warm beiges, you’ll probably feel cozier and calmer—and that’s really the essence of hygge. Bring on the candles and twinkly lights. Another way to up the cozy factor in your home? Just add candles. The soft, flickering light of a candle will create an immediate sense of zen in your home, especially if you opt for a calming, earthy scent such as lavender. If you’re not big on candles, try a string of twinkling lights instead. Embrace cozy extras. According to the rules of hygge, there’s no such thing as too many throw pillows or blankets. Fill your home with as many of these cozy extras as you like, and opt for plush, rich textures such as velvet.